In the data editor, create a new actor. 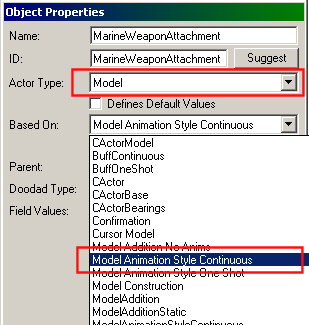 Actor type "Model", based on "Model Animation Style Continuous". Open the "Host Site Operations" field. Add an operation and set it to "SOpAttachWeapon" to have this model attached to the unit's weapon. 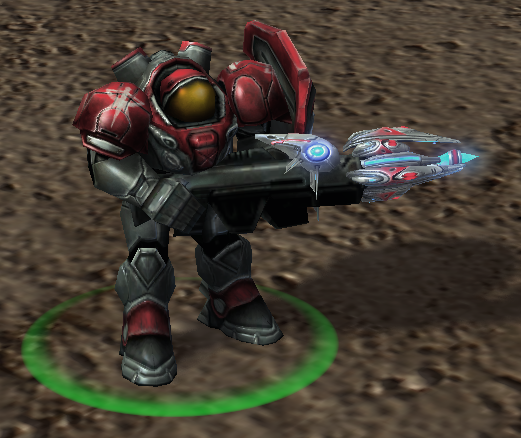 Other points can be used, such as "SOpAttachHead" to put the model on the unit's head. Right-click to add a new event. 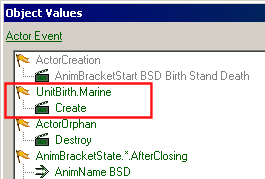 Set the Message Type to "Unit Birth", Source Name "Marine". Set the action to "Create"
Finally, choose the model to attach.